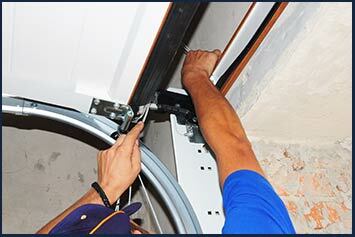 A garage door can become dysfunctional when its springs become damaged for any reason. 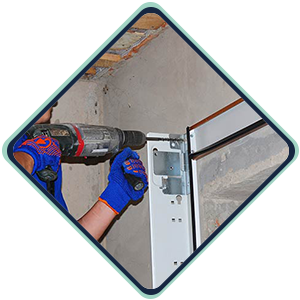 American Garage Door is close by in the community to provide timely and efficient replacement or repair of several different types of springs. This includes extension and torsion springs as well as several types of non-standard garage door springs. Our team members can offer you insight into the type of springs to use for your garage door in addition to instructing you on how to keep them functional. Our mobile repair unit carries all types of replacement springs so we can replace malfunctioning ones quickly. We are proud to be known as an industry leader in the service and installation of garage door springs. Although this part is small, it is one of the most important components of a functioning garage door system. That is because it counterbalances the dense weight of your door so you can open it with ease. A garage door spring must contain strength that is equal to that of the door’s weight. A spring generates strength through either torsion or stretching, both of which are powerful forces that require the expertise of a professional garage door repair and installation specialist. To replace a garage door spring, American Garage Door must effectively manage the existing pressure on the tension or a wound torsion spring. A large percentage of garage door service requests involve servicing the components found inside of these items. People who are unaware of this could subject themselves to unexpected danger that could result in serious injury or death. This type of work requires an intimate understanding of the interaction of these forces and how they impact the functionality of a garage door. A torsion spring, which is normally attached to a metal shaft and located above the garage door, helps to provide balance by applying pressure to its shaft. A shaft contains a cable spool at each end that unwinds when someone opens the door and the torsion spring releases. This process forces the cable to open the door. The opposite process of unspooling the cable takes place when someone closes the door. Torsion springs must be balanced to permit the easy manipulation of weight that would be nearly impossible to manage under normal circumstances. The inside diameter, spring length, and wire size all contribute to the spring’s ability to lift the garage door as well as its longevity. It requires each of these properties working in unison to determine the weight capacity of every spring. They also determine the number of times you can open your door before the springs start to fail. Putting in the thickest and largest springs possible helps to fight the stress of everyday use. For residential applications, American Garage Door typically uses standard torsion springs. With commercial doors, we use up to three springs because of the increased weight of the garage door. Commercial springs cover a larger interior diameter and have greater wire thickness in order to handle the increased weight and stress. Extension springs serve an entirely different purpose. They manage a garage door’s weight by contracting and stretching while the door is in the process of opening. An extension spring may have closed or open loops as well as clipped ends that enable your technician to mount them on the pulley, door frame, track hang, or another type of sturdy component of the garage door system. An extension spring in action counterbalances a door’s weight by pulling against its connection. This provides you with easy garage door access without having to strain to open it. The process of opening the garage door shortens its spring, which forces the door upwards towards the ceiling. When closing, extension springs restore their extension and then lock the garage door into place. Similar to torsion springs, the components of extension springs are exposed to high pressure. An inexperienced person attempting to adjust them could result in serious injury. 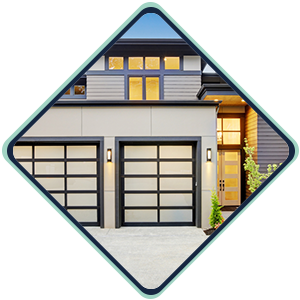 It is a garage door system’s delicate nature that increases the odds of unexpected failure. 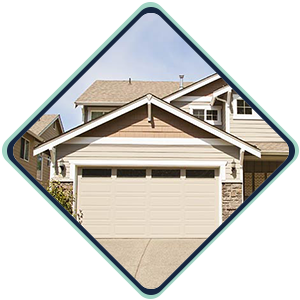 This means you may have limited use of your garage door or even need to replace it entirely. We advise you to schedule an appointment with American Garage Door annually for inspection and possible replacement of your garage door springs. Everyday wear and tear takes a heavy toll, but our technicians will have the springs as good as new in no time. 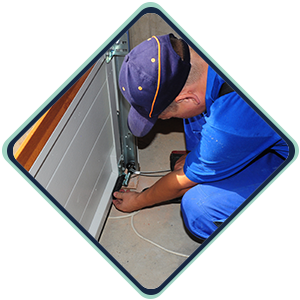 The springs of a garage door are sensitive and enable it to work properly when they are well-maintained. Springs provide enormous pressure for the door, which means that it could cause an extremely dangerous situation if it fails when the garage door is in the open position. Fortunately, most spring failures happen when the garage door is down. In either case, never attempt to replace a broken spring on your own. Call on the spring repair experts at American Garage Door instead.